Journalist Charles Graeber joins the show. 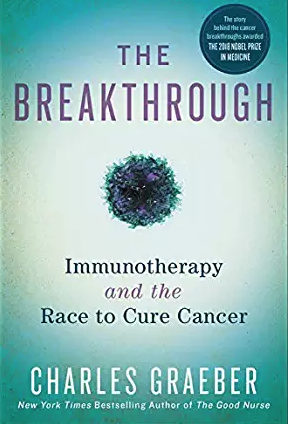 Graeber has written THE BREAKTHROUGH: Immunotherapy and the Race to Cure Cancer. This is the story of the game-changing science behind the scientific breakthroughs that are changing our ability to recognize and defeat cancer, as told through the experiences of the patients, physicians, and cancer immunotherapy researchers who are on the front lines.